To book tickets call or email accesslist@southbankcentre.co.uk or Ticket Office on 020 3879 9555. Enter a starlit world of lullabies, nursery rhymes, fairy tales and bedtime stories on our giant story bed. 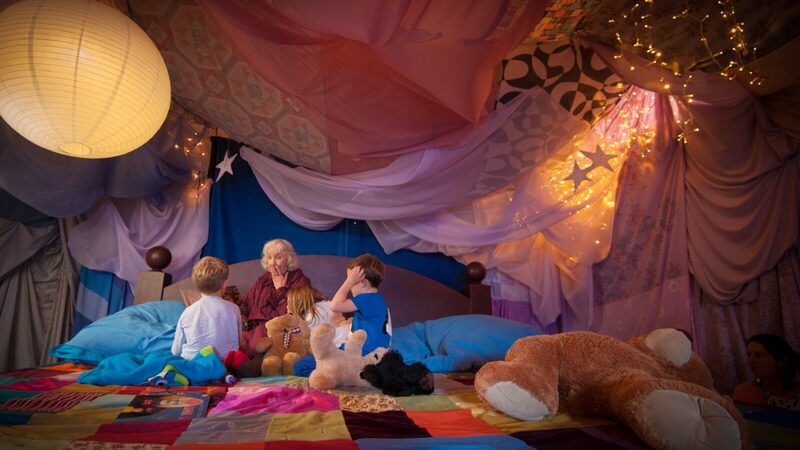 Snuggle up and rediscover the joy of bedtime stories in a magical environment created to inspire and capture the imaginations of children and adults alike. Presented in association with the Story Museum Oxford.